More than 13,000 women and children have been served by Abby’s House since our inception in 1976. Each woman for whom we have opened the door is on her own unique journey, and here at Abby’s, she can regroup and rebuild her life. At Abby’s, women are treated with respect and dignity and are provided with the supports they need to move forward. We remain steadfastly true to our mission and to our values and treat each woman individually, based on her hopes, aspirations, and strengths. We rely on your generosity to serve each woman in the best way for her. Our work would not be possible without you! Your gift makes it possible for women and children to dream of a hopeful future. Once safely housed, women develop a plan to avoid future homelessness and housing insecurity. Click here to make your secure, online gift today or make your gift through PayPal. Giving a gift in honor or in memory of someone serves two important purposes. Not only do you commemorate or honor someone special to you, but you are also providing women and children with a place to call home. All memorial/honor gifts are acknowledged through a personal note to the honoree. You can make these donations online by noting who you are honoring and where you would like the acknowledgement to be sent in the Special Instructions box, or you can call the Development Office at 508-756-5486. Choose to have your gift recur on a regular basis and your gift will be automatically charged to your credit or debit card according to the frequency you select. This option makes it easier to spread your gift out over time. Please select this option in our online payment or you can call the Development Office at 508-756-5486 for assistance. If your company participates in a United Way campaign that allows donor designations, you may be able to identify Abby’s House as the beneficiary of your payroll deduction gift by contacting the United Way campaign coordinator at your company. 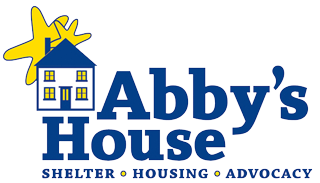 Matching contributions by employers are ways for you to further support the mission of Abby’s House. You can plan an event with Abby’s House being the beneficiary of the proceeds. We will work with you to promote the event and provide you with any information you may need. Past examples include a pancake breakfast, an auction, a concert, a bake sale, a theater performance, a yard sale, and Casual Fridays at the workplace. There are many ways to make a difference in the lives of women and children who need us most. By making a planned gift, you ensure our critical programs and services will be viable long into the future. You can arrange a bequest in your will or designate Abby’s House as a beneficiary of a life insurance policy or a retirement plan. To talk about including Abby’s House in your plans, you can call the Development Office at 508-756-5486. You can make a donation to Abby’s House through the transfer of appreciated securities. To make a donation of appreciated securities, please contact Kelly Whalen, director of development at 508-756-5486 x214 or gro.e1556150265suohs1556150265ybba@1556150265yllek1556150265. Kelly will share appropriate instructions and information on how to make your donation. Abby’s House is a 501 (c)(3) organization and our federal tax identification number is 04-2648411. All donations are tax-deductible as permitted by law. To learn more about the personal advantages of donating securities, please speak with a financial advisor for guidance. Abby’s House ensures the privacy of donor information within bounds that are limited and common in the practice of development programs. Limited information may be shared in a confidential manner with Board members or volunteers for fundraising purposes only. Outside of such use via organized fundraising activity, Abby’s House does not divulge gift information, donor’s contact information, or donor name, in the case when anonymity is requested. Disclosure of information on donations will be made to Abby’s House auditors as part of their professional services to Abby’s House, or the IRS upon its lawful request.